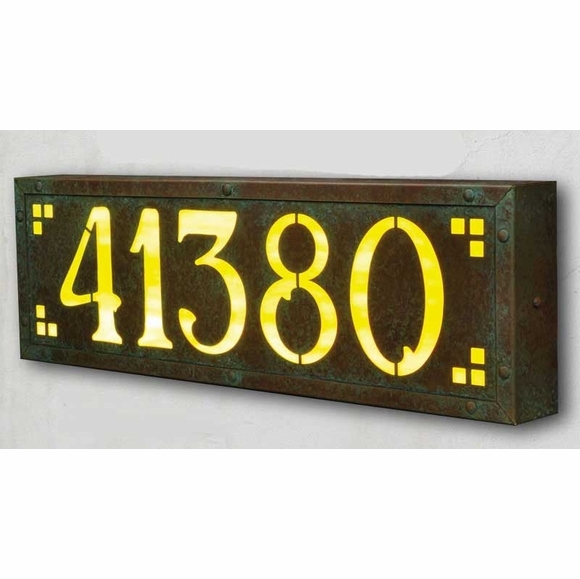 Large Arts & Crafts Lighted Address Plaque - - possibly the most beautiful illuminated house number sign you will find anywhere. Holds up to five numerals. Solid brass frame with rugged rivot detailing. Two exclusive designs: Pasadena and Willowglen. Pasadena (large image) shown with the new verde finish and autumn green glass. 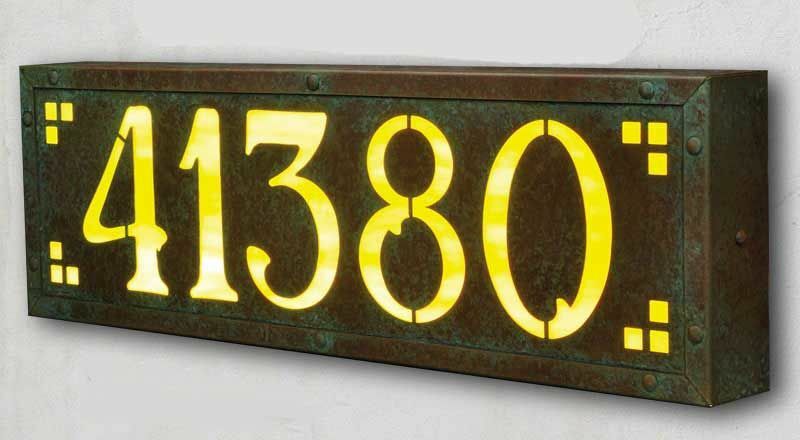 Dimensions: 19"W x 2"D x 6"H.
The three-number and four-number versions of this unique Arts & Crafts style address sign are also available at Comfort House.